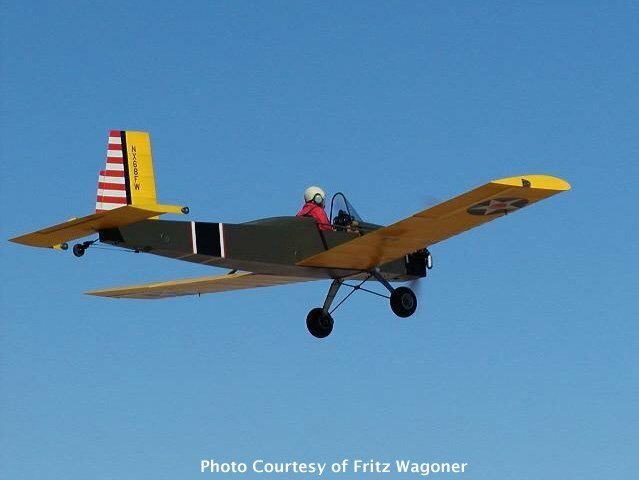 This page contains a collection of pictures and information that other Volksplane builders have sent me. 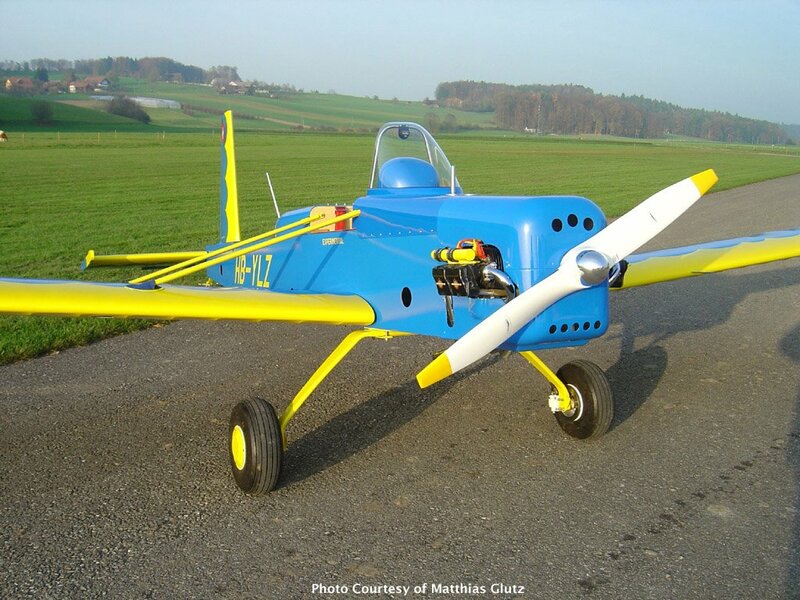 The intent is to provide inspiration, both for me, and those of you visiting this site who are building (or contemplating building) a Volksplane. All photos are used with permission of their owners. Please do not use these elsewhere without contacting the owner for permission. 2005-Dec-02: These two photos were sent to me by Matthias Glutz of Switzerland, who happened across this site while looking for centre-of-gravity information. 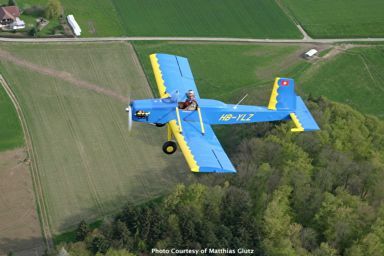 Mr. Glutz just finished his Volksplane HB-YLZ after ten years of building (if that’s not an inspiration to never give up, I don’t know what is). 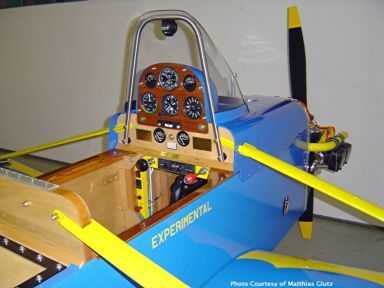 The aircraft is finished using the Polyfiber System, with three coats of Polybrush, three coats of silver Polyspray, and a single coat of Poly-Urethane. Mr. Glutz wrote that it works great, and that he was very satisfied with the results (his first attempt). That is the understatement of the year. The engine is an 1800cc VW with dual electronic ignition. If you have any questions about HB-YLZ, you can e-mail Matthias Glutz. 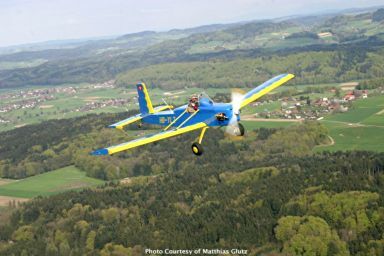 2006-Apr-30: Matthias wrote to tell me that HB-YLZ is flying! 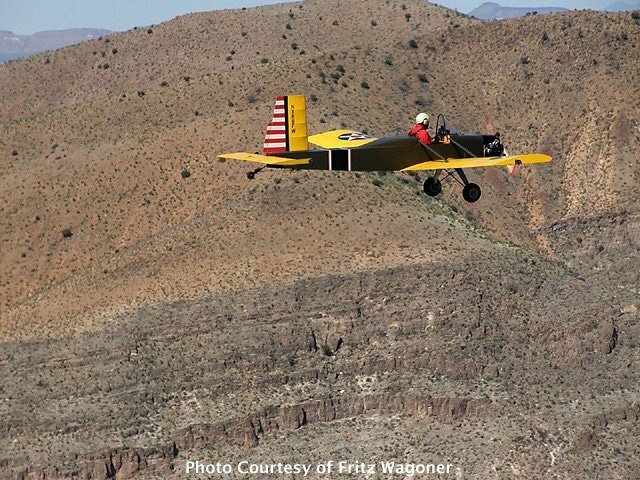 And, he sent along some of the most stunning Volksplane photos I have ever seen, some of which are reproduced below with his kind permission. 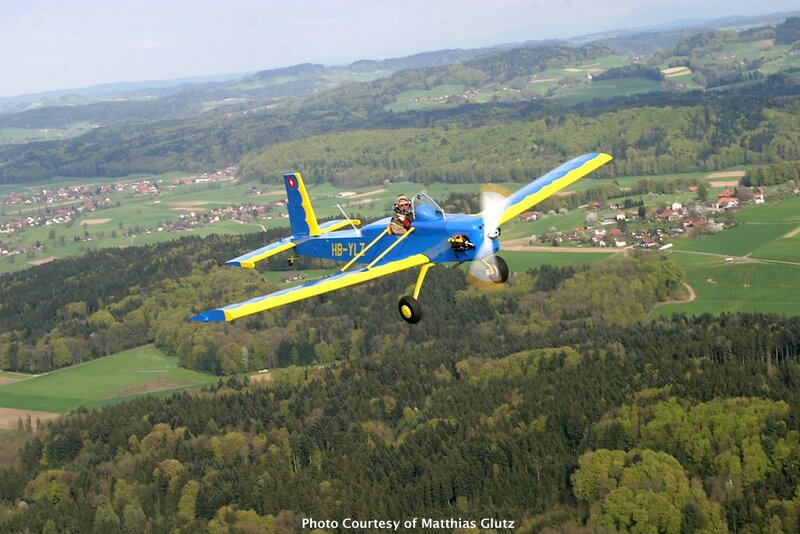 Matthias writes, “The plane performs exactly as described in the plans. 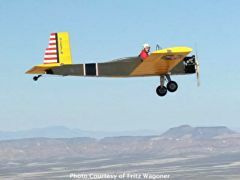 Cruise 75 mph, stall 40 mph, rate of climb 600 ft/min”. You may notice that he’s wearing a parachute. Since I am intending to do the same when I first fly my VP, I asked him about this. 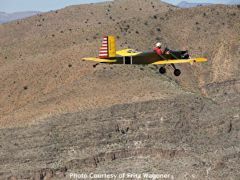 He replied that he thought it would be a good idea for the first few flights, even though he tested the wings by loading them down with 3100 lbs of lead. 2006-May-21: When I first set out to build an airplane, I had to convince my wife that it was a good idea. 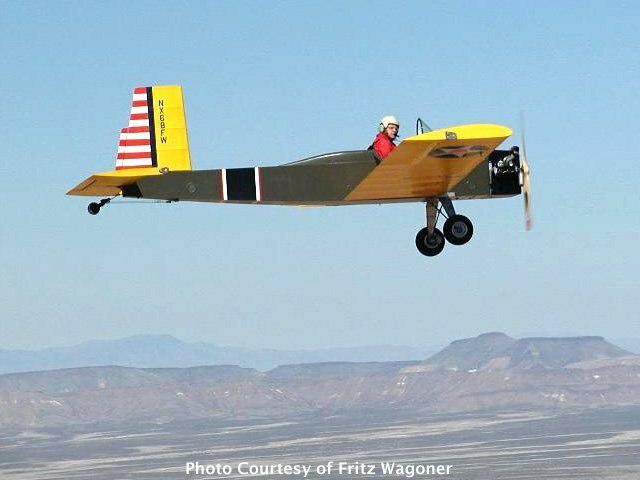 At that time (almost two years ago now), Fritz Wagoner e-mailed me some beautiful photos of his Volksplane and its construction to help me illustrate the scope of the project. Here are a few of my favorites. 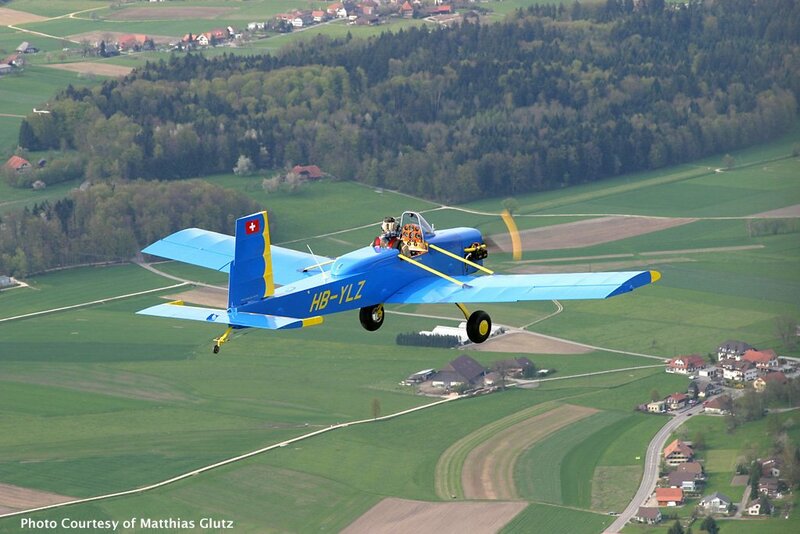 These were all taken by Fritz’ friend Morry Drexler from his Citabria, which appears in the last picture. I was really struck by the differences in scenery between these photos, and the ones above from Matthias Glutz. 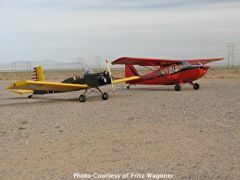 The wide open spaces of the New Mexico desert are a sharp contrast to the rolling green hills of the Swiss country side. 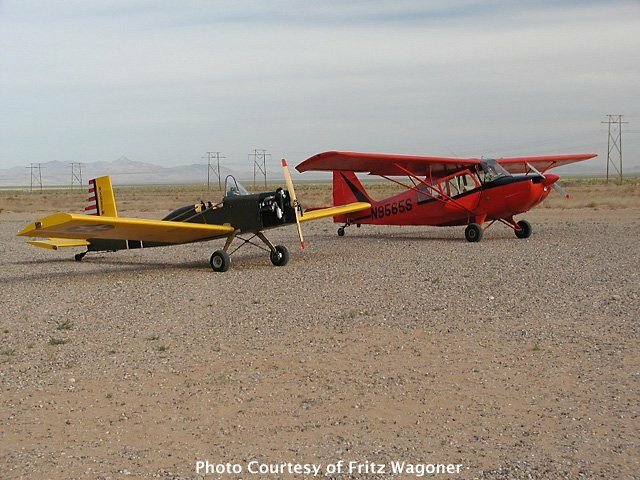 These two builder/pilots live half a world apart yet share the experience of having built and flown Mr. Evans’ little airplane. 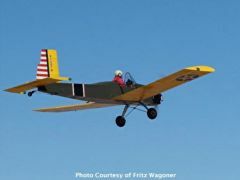 Fritz has his own Volksplane page, with many construction photos, which I often refer to if I’m at all in doubt as to how something should fit together. Very cool! 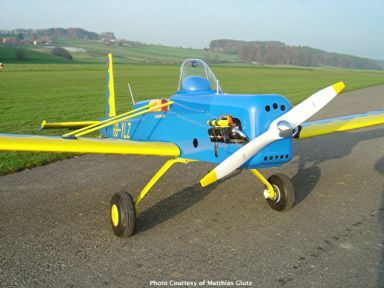 I intend to build an airplane using a vw engine, wich is the one thing I´ve already choose. VP is an option, a good option. Good lucky and nice construction. 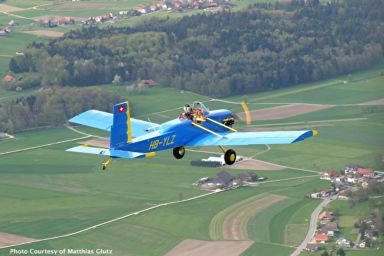 Did you see the glider at 9 o,clock? Cool pictures and indeed good inspiration! Gr from Holland.